Do you want to add a contact form to your website? Your potential clients may be looking for an easy way to contact you about your photography services. 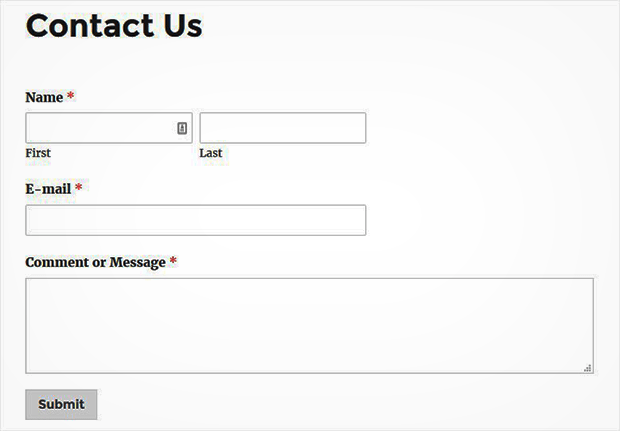 Creating a contact form will help you to get more inquiries which may lead to sales. 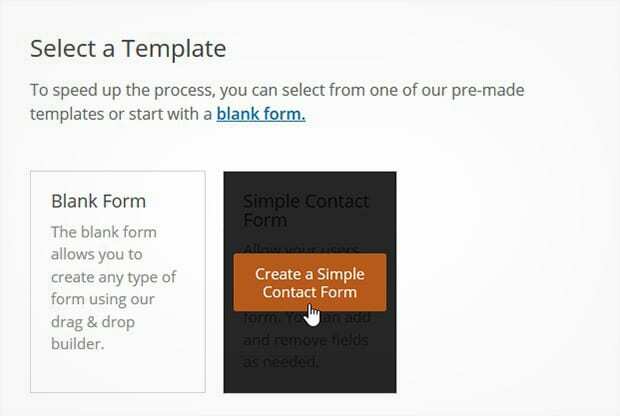 In this article, we will share how to create a simple contact form in WordPress. There are multiple photography website themes and templates that have a built-in contact page. However, the contact form is usually extremely basic, and it may not fulfill your requirements. 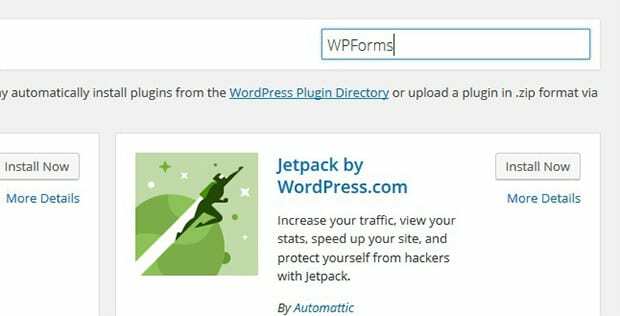 You need a WordPress contact form plugin that is simple to use, yet still has all the options you need to interact with your clients. We recommend that you use WPForms Lite. It’s a simple and flexible plugin for adding contact forms to your photography site, and it’s free. Simply go to Plugins » Add New from your WordPress admin sidebar menu. Type ‘WPForms’ into the search bar and press Enter to search. 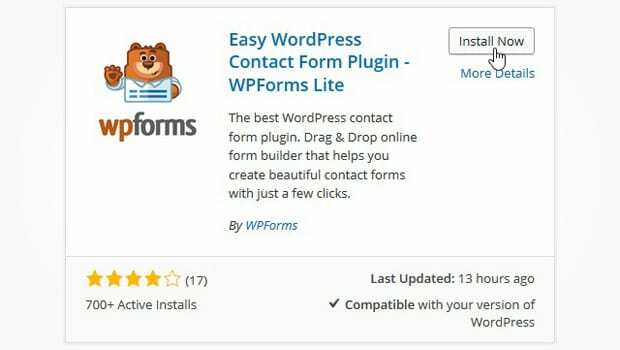 Find the plugin entitled, Easy WordPress Contact Form Plugin – WPForms, and click on the Install Now button. Next, click on Activate Plugin, and you are now ready to create your first WordPress contact form. 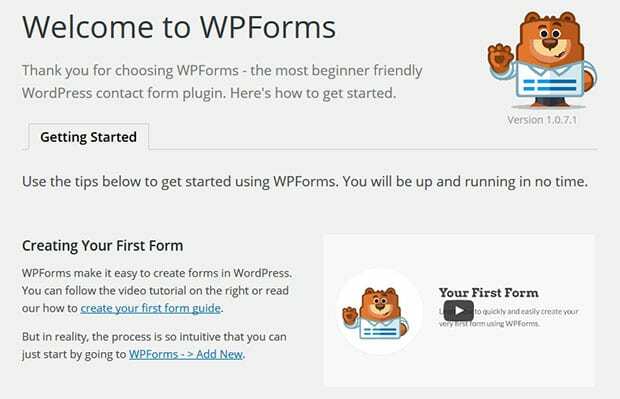 You will see a welcome page from WPForms with all the basic information about this contact form plugin. To add your first contact form, go to WPForms » Add New. A new window will appear with some options for setting up your contact form. 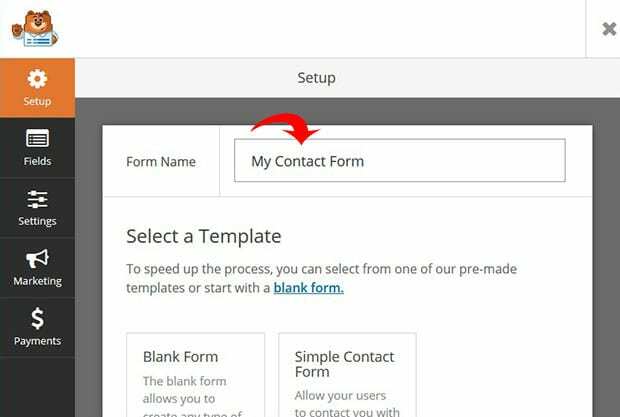 You can select either the Blank Form or the Simple Contact Form template to get started (we selected the simple contact form template). It will take you to the Fields tab, so you can add or remove any field you want. In the right-hand side of the screen, you can see the preview of how your contact form will appear on your WordPress photography site. 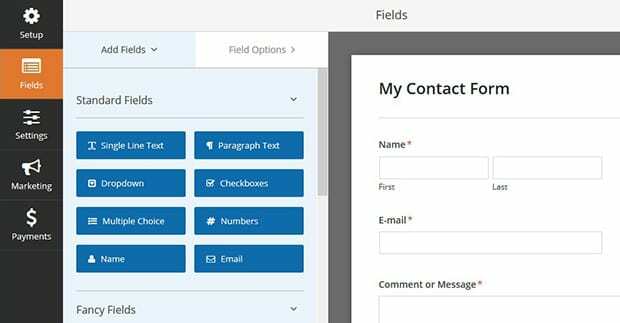 After choosing the fields for your contact form, you should click on the Save button at the top right corner of the screen. Next, go to the Settings tab to adjust the General, Notification, and Confirmation settings to your liking. Your contact form is now ready! Go ahead and click on the Embed button from the top right corner. 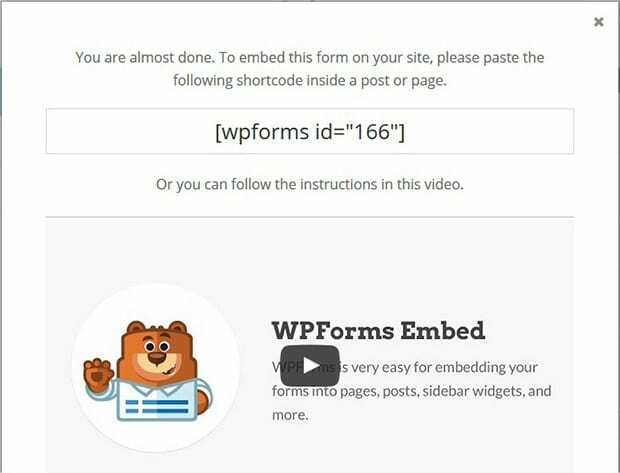 It will generate a WordPress contact form shortcode for you. Copy this shortcode to use in the next step. Then, go to your Posts or Pages, and edit the post or page where you want to embed the simple contact form. Simply paste the shortcode into the visual editor wherever you want the contact form to appear, and hit the Update button. If you want, you can also display your form as a widget in your sidebar or footer area. Go to Appearance » Widgets, and drag and drop the WordPress contact form widget into the Sidebar (or Footer) widget area. Then, adjust the widget settings as needed, and click on the Save button. 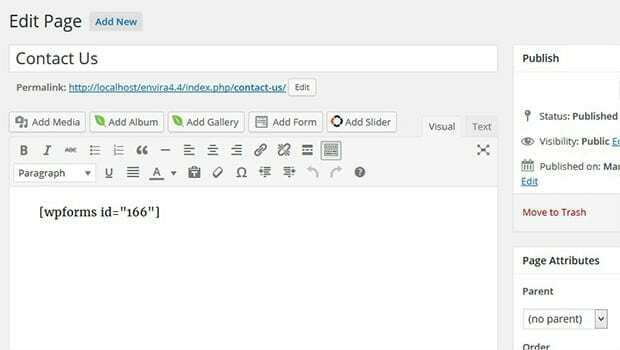 Your WordPress contact form widget will now appear in the sidebar or footer on your website. To reveal more exciting contact form features, including more Form Templates, a PayPal Addon so you can have photography clients pay to book sessions with you, a MailChimp Addon to integrate with your email list and more, upgrade to the WPForms Pro Version. 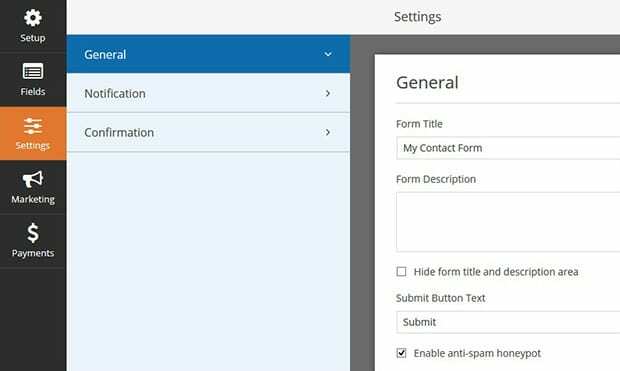 We hope this article has helped you to learn how to create a simple contact form in WordPress. You may also want to check out our guide on how to create a photography website in WordPress.